Why do we find it so hard to believe that one simple food can do so much good? Part of this is because we are conditioned to believe that natural cures don’t work, and we must put our faith in dangerous pharmaceuticals if we wish to find relief. Breaking out of this mold is necessary if we’re to move in a direction of improving our overall health and well-being – putting our trust in what have now become “out of the box” remedies, but which are in fact just good-old, simple, natural solutions (that don’t make money for big pharmaceutical companies). One such healthy and natural remedy is apple cider vinegar. Apple cider vinegar has been used for centuries and has been viewed, until recently, as an ancient folk remedy. Touted as being able to relieve any number of ailments, such as diabetes, obesity, and even cancer, science is now beginning to support this natural therapy. Introduced to the United States in the 1950’s by D.C. Jarvis, author of Folk Medicine: A Vermont Doctor’s Guide to Good Health, apple cider vinegar is finally being embraced as a dietary supplement worthy of attention. Organic apple cider vinegar is unpasteurized and contains what is known as the “mother of vinegar,” which makes the vinegar appear somewhat cloudy. To make apple cider vinegar, apples are crushed, and the juice is squeezed out. Bacteria and yeast added to the juice create a fermented product. A 2007 study demonstrated that diabetics who took apple cider vinegar had lower glucose levels than those who did not. In fact, when participants took two tablespoons of apple cider vinegar before they went to bed, they lowered their glucose levels by 4%-6%. In another study, conducted by Arizona State University, participants who drank apple cider vinegar had a 34% lower blood glucose level after a meal than the control group. Sadly, most people with diabetes do not take apple cider vinegar. Medscape General Medicine reported a 2006 study that showed the effectiveness of apple cider vinegar in increasing good cholesterol levels. Animal research supports the fact that this vinegar can control both triglycerides and cholesterol. Vinegars of all kinds have been used for a very long time as a weight-loss aid because they help make you feel full. A study found that participants who ate a piece of bread with apple cider vinegar felt fuller than those who ate the bread alone. In another study, overweight Japanese participants were grouped based on body weight, body mass indexes and waist size. 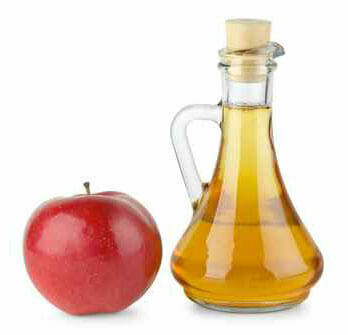 Members of each group drank 30 ml, 15 ml or 0 ml of this vinegar per day for 12 weeks. The people who drank 30 ml and 15 ml, had lower BMI, waist circumference and visceral fat than those in the control group who did not drink apple cider vinegar. It's the ability to block starch that can help you lose weight. Carol Johnston, associate director of the School of Nutrition and Health Promotion at Arizona State University, explains, "If you're interfering with the digestion of starch, less is being broken down into calories in the bloodstream. Over time, that might cause a subtle effect on weight." Research suggests that apple cider vinegar may lower blood pressure and reduce the risk of heart disease. The potassium in this vinegar helps to balance sodium levels in the body, which keeps blood pressure steady. In addition, apple cider vinegar also contains magnesium, which helps to relax blood vessel walls, resulting in a lowering of blood pressure. Other recent findings suggest that apple cider vinegar may be useful in killing head lice, reversing the effects of aging, reducing acne, relieving allergies, reducing heartburn and easing digestion. Apple cider vinegar is a healthy hair rinse, can be applied to sunburn, can be used to remove stains from teeth, and is useful for fast-acting relief of insect bites. If you are interested in finding out all of the ways that apple cider vinegar can change your health and the health of your family members, go to the next page where we share everything we know about the countless benefits of this amazing substance, such as the 5 ways to pamper and care for your skin.